TOKYO, Jan. 31, 2012 — Ricoh Company, Ltd., a worldwide leader in digital office equipment and advanced document management solutions and services, today announced that Ricoh has been listed on the “Global 100 Most Sustainable Corporations in the World” for the eighth consecutive year. Ricoh is one of a select few companies to make the Global 100 every year since the list was launched in 2005. Billed as “the most extensive data-driven corporate sustainability assessment in existence,” the Global 100 is based on 11 specific key performance indicators for business and the environment. The Global 100 was announced Jan. 25 at the World Economic Forum in Davos, Switzerland, at a dinner hosted by Corporate Knights Inc., the company behind the award. The Global 100 includes companies from 22 countries encompassing all sectors of the economy, with collective annual sales in excess of $3.02 trillion, and 5,285,645 million employees. Ricoh was selected as one of the “2011 World’s Most Ethical Companies” by the Ethisphere Institute.It was the company’s third listing in as many years. Ricoh was listed for eight consecutive years in the FTSE4Good Index. Ricoh was awarded first prize in “EFQM Sustainability Good Practice Competition” for the customer-focused Sustainability Optimisation Programme. Ricoh has a global network of billboards powered exclusively by renewable energy. 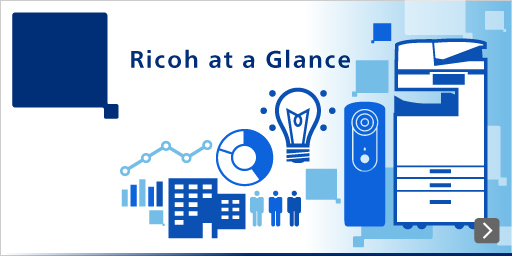 While Ricoh is cited as a sustainable corporation itself, it is also committed to helping other organizations improve their sustainability through the products and services it delivers, including its Managed Document Services (MDS) program. To learn more about Ricoh’s environmental commitment, please visit http://ricoh.com/environment/. Employee Turnover Total Number of employees who leave the organization voluntarily or due to dismissal, retirement, or death in service as a percentage of the total employee numbers at the end of the reporting period. Read the press release about "Global 100 Most Sustainable Corporations in the World"